Can I Place A Citrine Tower In My Aquarium To Keep A Healthy Environment And The Fish Happier? Dear G, Thank you for your inquiry. I wouldn't put the Citrine in the water. The main reason is that most Citrinein the market is Amethyst that has been treated. The Manganese in Amethystmay be harmful to your fish. 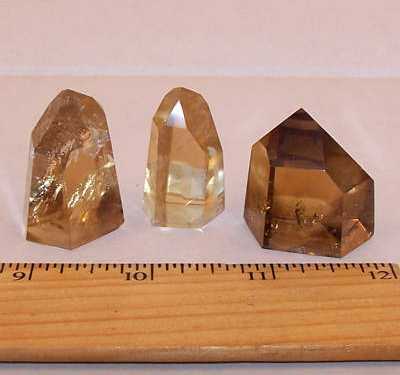 Natural Citrine is colored by iron and that also may be harmful for fish. I would suggest the clearest Clear Quartz crystal you can find if you wanted to put any crystal in your tank. Before doing so, I would clean it very well so nothing on it could contaminate the fish. It may also be prudent to check with the vendor of the fish to make sure that you don't have a species that can be adversely affected by anything in the tank.